Like other shipping container fittings, shipping container door hinge is designed to lock the container in a secure way. Shipping container doors are not like car doors or bedroom doors. There are four or five door hinges per shipping container door and the hinge pins must be lined up right for the doors to be free to fully open and close as they’re supposed to. So, it is the key component of shipping containers, which is always manufactured in forging process to guarantee the good strength. 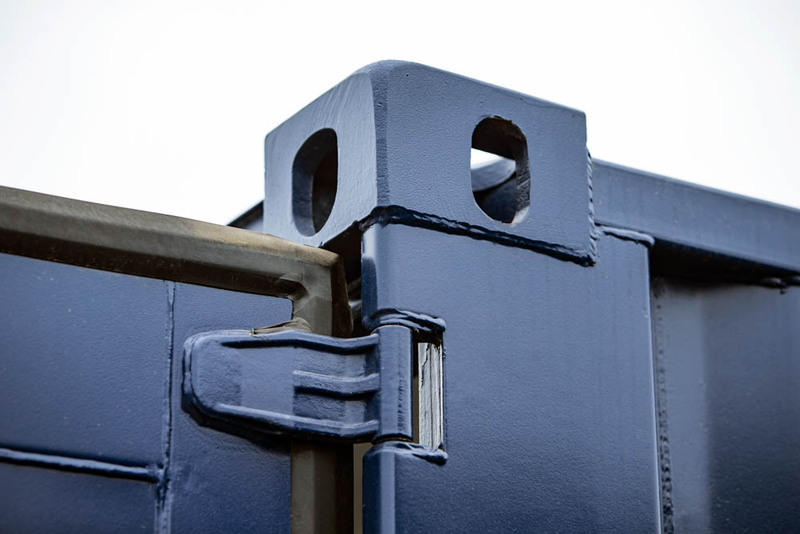 A full range of container door hinges are needed for new containers. And sometimes, the door hinge blade are seized due to corrosion. So there are a large demand of shipping container door hinges for new containers and repair. As the top steel forging companies in China, Fly Forge can produce all types of custom shipping container door hinges in our advanced closed die forging technology. All our customers are container manufacturers or container fitting dealers from countries all over the world. Material selected could be Q235 or other forged steel. After forging, both the density and strength of shipping container door hinges will be improved, which will extend the serving life of hinges. Also, forging is perferred because it can produce door hinges in a quick and cost effective way. Surface Treatment: Self Colored or Hot Dip Galvanized. Shot blasting or Hot Dip Galvanization is the most common surface treatment way of shipping container door hinges. 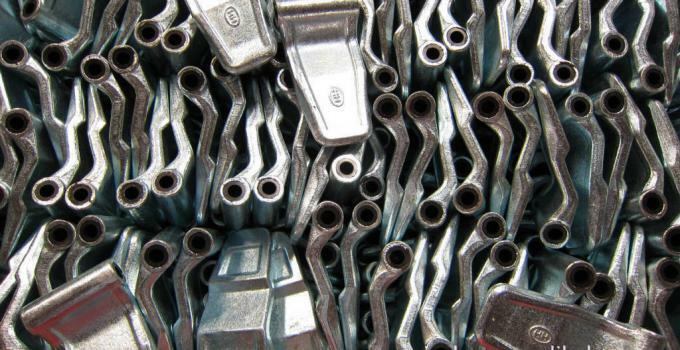 HDG can play an important role of anti-corrosion, which will longer the serving life. While, if the shipping container door hinges are not treated with hot dip galvanized, they may well be rusted in a short time, and have to be replaced by new ones, which will add the cost. Besides Container Door Hinges, Fly Forge can customize other forged container fittings as well, such as Container Lifting Lugs, Door Handle, Container Cam & Cam Keeper, ect. Just pls feel free to contact us once there is any inquiry about forged container door hinges or other container fittings. 1) When you are looking for a supplier for your shipping container door hinges, provide all the regarded information as detailed as possible, such as drawing, material, surface coating, quantity, ect. Completed information can help the potential supplier to quote at a quick speed. 2) Before ordering, keep in mind that the most ideal supplier is not someone who offers the lowest price, but the one who can provide the best quality in a reasonable price. 3) Once the sample is approved, place the order asap. Otherwise, the price may have to be adjusted again due to the increased material cost. 4) When your container door hinges are ready for shipping, ask the supplier to arrange all shipping issues for you directly. As the freight cost from them will be much lower than your local forwarder. Just let them know the destination port.